The UN Human Settlements Program (UNHSP) representative to Iran referring to unique historical texture of Shiraz said here Wednesday that preserving that historical heritage is necessary for boosting the cityˈs tourism industry. 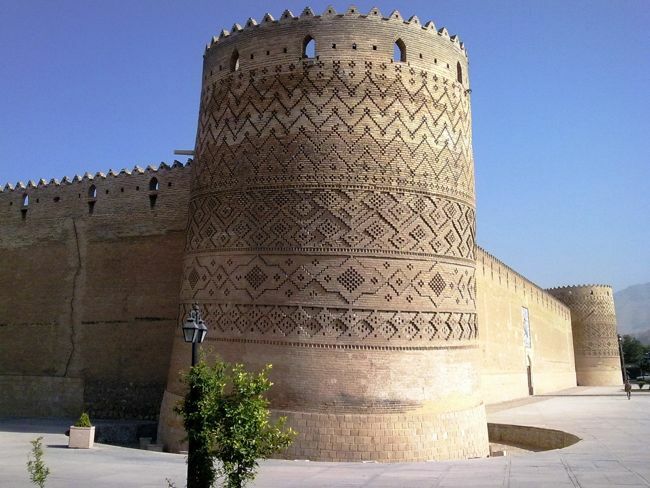 A greater amount of attention must be paid to this historical district of the city to provide the required conditions for keeping it a residential area with people living in it, – Siamak Moqaddam said after visiting the old texture of a Shiraz district. He said that in order to improve the ratio of that districtˈs residents remaining living in it while the required rural facilities must be constructed, the lifespan of the old city structure needs to be increased by adopting the required measures, which will in turn add to the cityˈs tourism attractions. Using the past experience and benefitting from the peopleˈs participation we can achieve a good amount of success in preserving the tourism attractions of Shiraz, – said Moqaddam. He said that in order to achieve that objective public training of that districtˈs residents is necessary. The head of Fars Province Old Textures Office, too, said in the meeting with the head of the UNHSP Office in Iran that the issue of strengthening the old textures of Shiraz has been in the agenda as a high priority ever since the year 2000. Mohammad Reza Taleban said that presently nine offices have been established to monitor the project in over 200 hectares of Shiraz old districts, which provide a bright perspective for the future of the historical old district of Shiraz. Taleban said that after launching onion polls the first district home of Shiraz, together with a school, a library, and other rural infrastructures and service facilities have been constructed in the old Shiraz district. The old district of Shiraz is an area of some 360 hectares that comprise some %2.8 of the total city area situated in the heart of Shiraz. The initial core of the cityˈs formation is in that district and throughout various eras it has gone through various developments and evolving, including the construction of a defense wall around it together with entrance gates in it during the Zand Dynasty era. The historical monuments in the old district include the major religious centers of Shiraz and a major part of the historically precious structures of Shiraz. In fact the Shiraz old district has its own special features, including 400 precious monuments, eight gates, and 12 cultural centers. The preservation and safeguarding of the monuments in that distinct will in addition to its revival give new life to those monuments, and from the economic and social points of the view, revive the historical-cultural identity of Shiraz. The district with some 75,000 residents is home to some 37,500 non-native dwellers. Also there are 11,147 homes in this old Shiraz district. Shiraz is the fifth most populous city of Iran and is the capital of Fars Province. In 2009 the population of the city was 1,455,073. Shiraz is located in the southwest of Iran on the Roodkhaneye Khoshk (Dry River) seasonal stream. It has a moderate climate and has been a regional trade center for over a thousand years. It is regarded as one of the oldest cities of ancient Persia. In the 13th century, Shiraz became a leading center of the arts and letters, due to the encouragement of its ruler and the presence of many Persian scholars and artists. It was the capital of the Persia during the Zand dynasty from 1750 until 1781, as well as briefly during the Saffarid period. Two famous poets of Iran, Hafez and Saˈadi, are from Shiraz. Shiraz is known as the city of poets, literature, love and flowers. It is also considered by many Iranians to be the city of gardens, due to the many gardens and fruit trees that can be seen in the city. Shiraz has had major Jewish and Christian communities. The crafts of Shiraz consist of inlaid mosaic work of triangular design; silver-ware; pile carpet-weaving and weaving of kilim, called gilim and jajim in the villages and among the tribes. In Shiraz industries such as cement production, sugar, fertilizers, textile products, wood products, metalwork and rugs dominate. Shiraz also has a major oil refinery and is also a major center for Iranˈs electronic industries: 53% of Iranˈs electronic investment has been centered in Shiraz. Shiraz is home to Iranˈs first solar power plant. Recently the cityˈs first wind turbine has been installed above Babakoohi Mountain near the city.